The Tracy Parks & Recreation Department offers a variety of adult and youth sports programs. 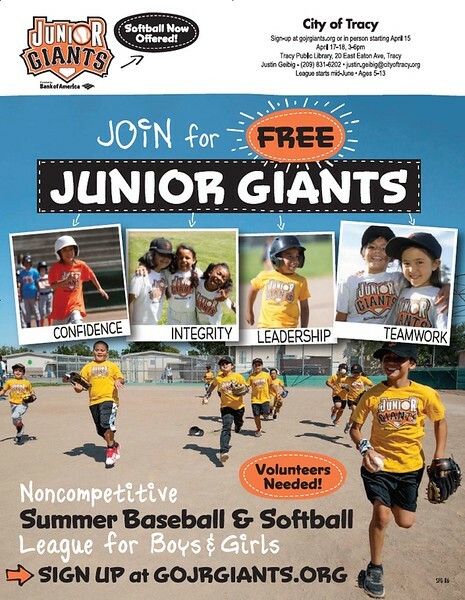 Programs are seasonal and include adult softball, youth basketball, Junior Giants baseball and our summer boys baseball and girls softball camps. 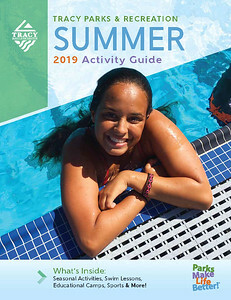 For a list of all adult and youth classes offered, please check out the Summer 2019 Activity Guide. You may also view and register for classes online at www.tracyartsandrec.com. For more information, please call (209) 831-6202. Our programs are recreational in nature and provide adults and children with a great way to participate in organized activities which support a healthy lifestyle, encourage positive sportsmanship, enhance social skills and improve skills in a sport they enjoy.